Condition: EX-NM, poster is double-sided, rolled as issued, and has some edge wear from improper shipping. It also has some overall handling wear. Poster is printed in Japan on a heavy glossy paper and the colors are still very vibrant and vivid. 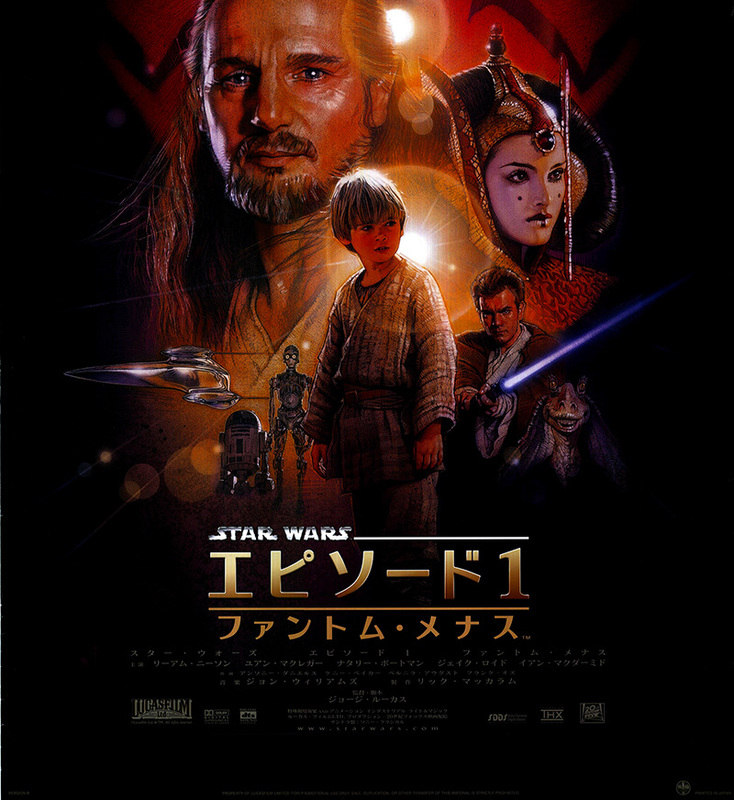 This large poster is a very neat example from the Japanese theatrical release of the The Phantom Menace. 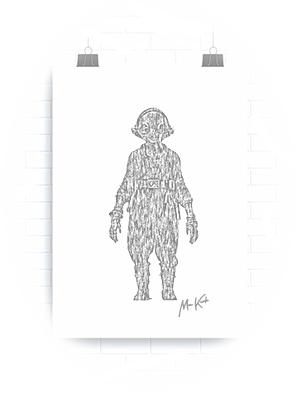 Please click on the extra large supersize thumbnail image to the right, to see all the small defects. 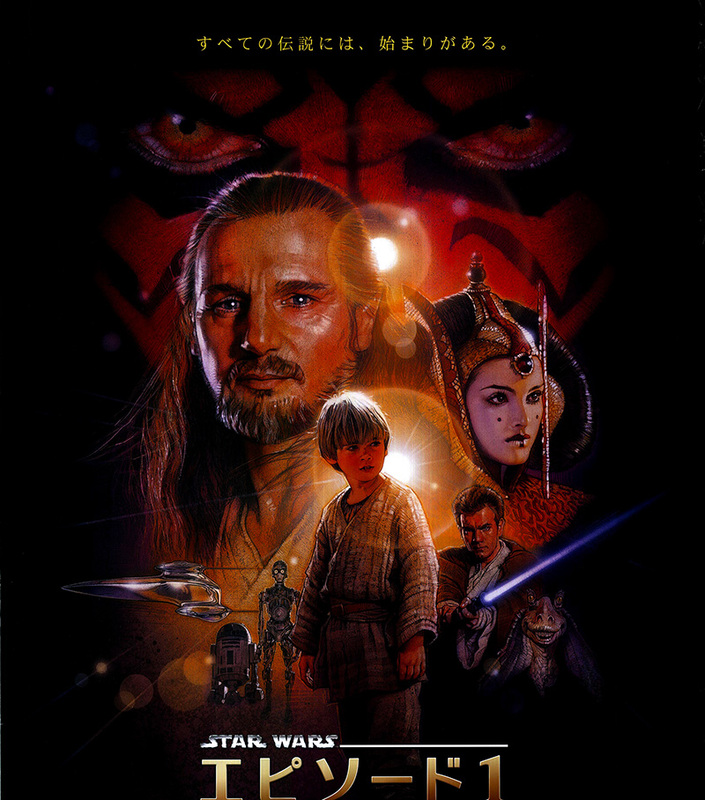 This poster has the Drew Struzan artwork character collage. 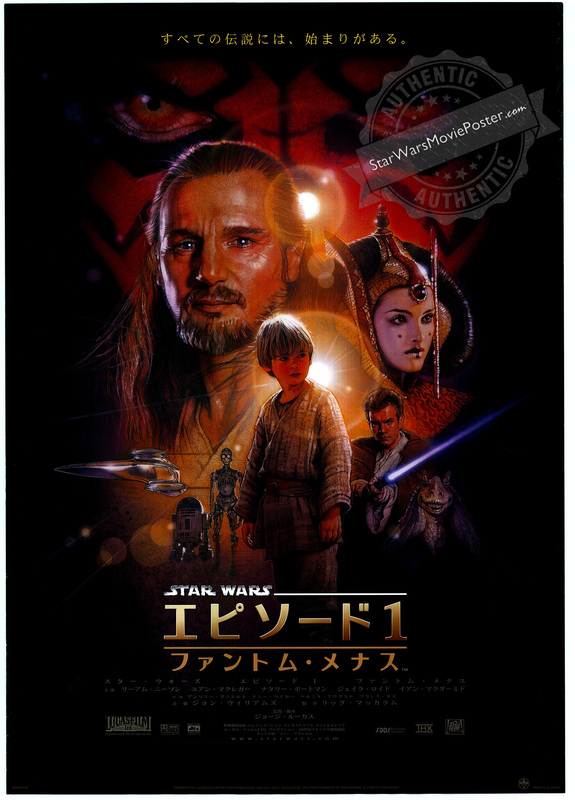 The subtitle - The Phantom Menace means " invisible threat " in Japanese. Across the top it has the tagline, - "Every Saga has a Beginning" (すべてのサガには始まりがあります). 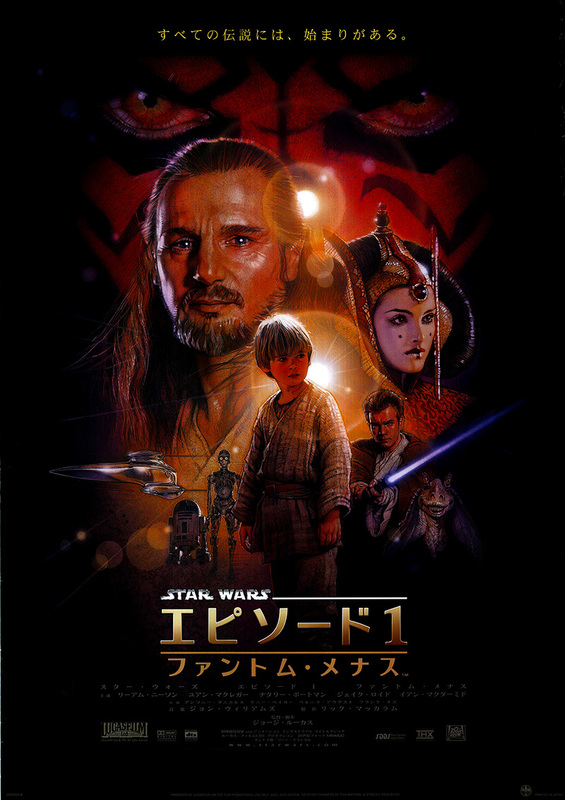 This B1 one-sheet also contains the Japanese Star Wars Episode I logo (ファントム・メナス), cast and credits information, 20th Century Fox and sponsor emblems. Printed in Japan - it also has the Eirin logo (10326) in the lower right hand corner that classifies films to indicate their suitability for minors. This is Japan's larger size one-sheet.